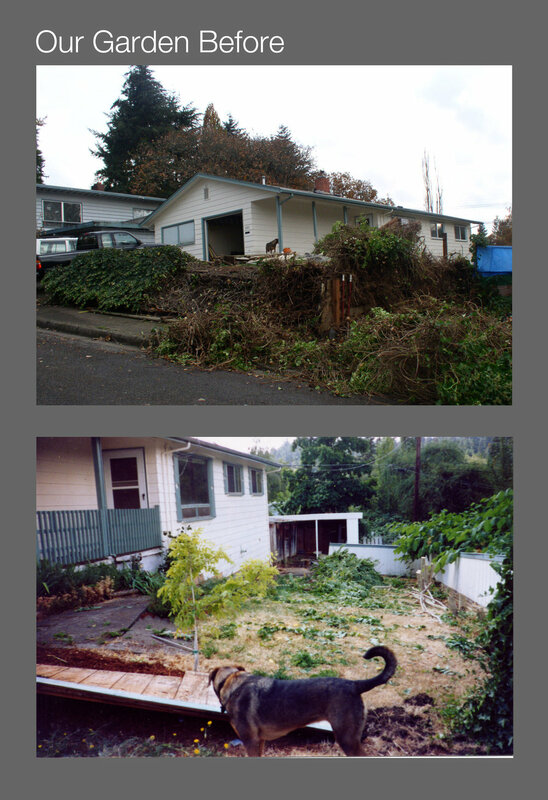 When we purchased this former rental house, in South Eugene, Oregon, its neglected yard was a sloping, weed and concrete covered mess with little connection to the house. Using terracing and hardscape, Mosaic transformed the space into a compact, multifaceted garden with a strong connection to the house. 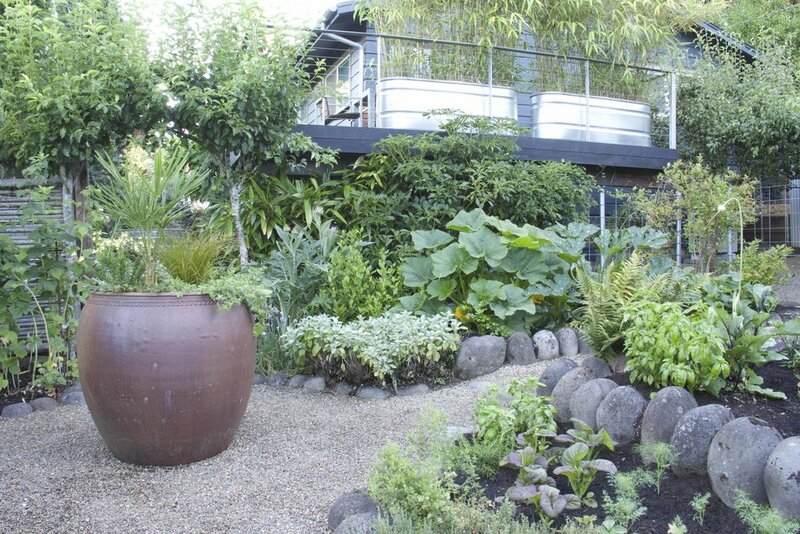 A series of garden rooms are connected and defined by pea gravel pathways and drystack stonework. 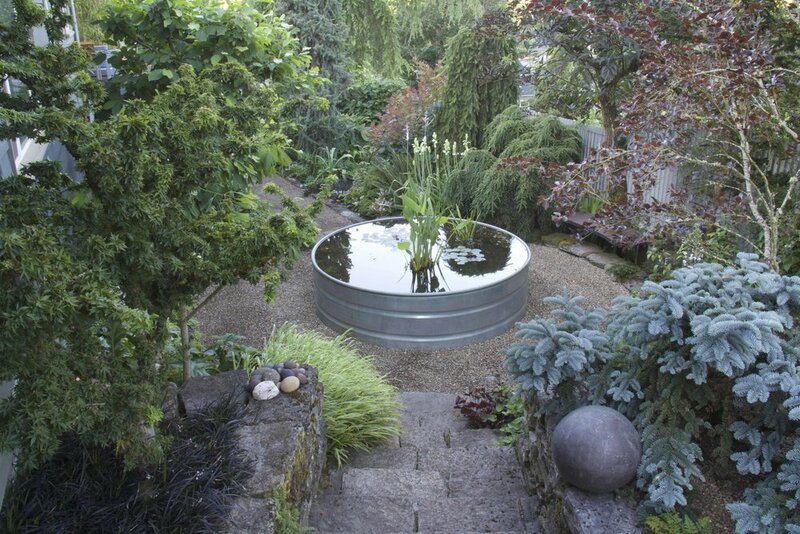 Galvanized metal fencing and stock tanks brighten the narrow space, especially in the Oregon winter. 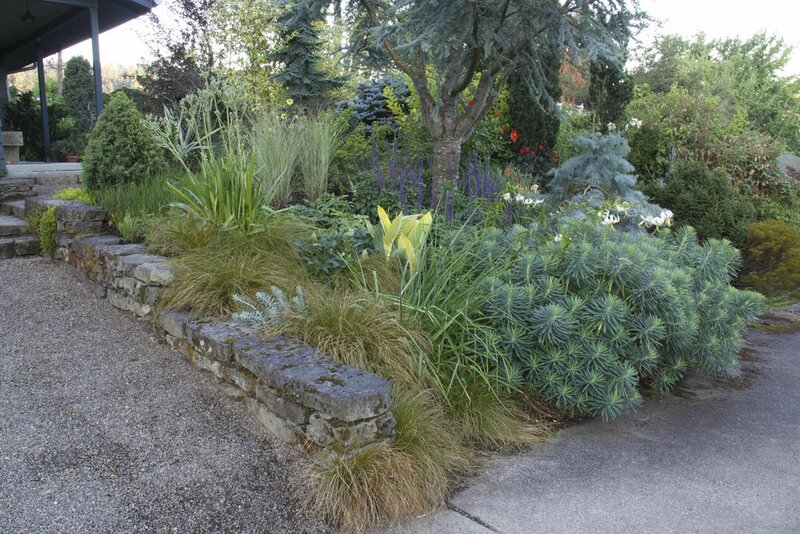 The original plantings were brimming with variety and doubled as a testing ground for new and unusual plants. As the plantings have matured and the garden has grown shadier, we have edited the plantings to masses of our favorites, with accents of unusual specimens. A third of our property is dedicated to food production, including a minimalist fruit orchard with one of Buell's captivating stone sculptures.